A guide to Health and Wellbeing at St Bede's School. We aim to raise awareness and importance of a healthy diet and lifestyle to all children. School Council reps will be giving house points for those who are spotted being healthy and active. Exciting News!!! We have recently introduced our new scheme of work for the whole school. Our scheme is called SCARF. SCARF is a progressive PSHE and Wellbeing programme. SCARF also ensures RSE ‘relationship education,’ internet safety, staying safe online, safeguarding, mindfulness and British values are taught to our children. Initiate conversations and pay attention to what others say. Expressing emotions through movements and dance. Lots of cross-curricular links and focused discussion times. Worship and whole class mass. St. Bede's School records all PSHE work into class sketch books which is an effective way of collecting and displaying the work that the children cover in our PSHE curriculum. Our sketch books can also be used with the children in lessons as a resource. These books include photographs, data collection, written group work, illustrations and collected resources. Keep your eyes open for regular updates from our new PSHE programme and examples of work covered in termly topics for each class. For more information on latest school council news please click on 'School Council' located in the 'Our School' tab above. 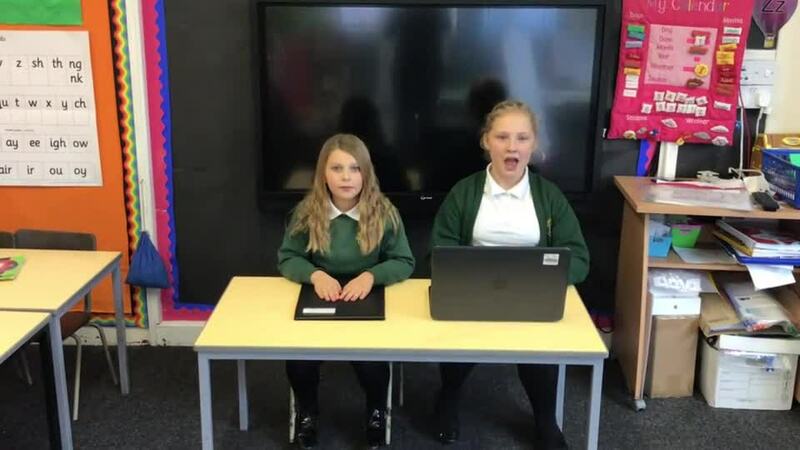 Please watch our e-safety awareness video. For pictures and more information on our playground leaders please click on 'Playground Leaders' located in the 'Our School'tab above. We hope that this project will have positive impacts with behaviour at playtimes because children will be actively engaged in activity, the leader's confidence and self esteem and the relationships amongst year groups in our school. Children will be rewarded with certificates throughout the school year dependent on their hours of successful playground leader duties. Playground leaders will have their own resource box with a range of sports equipment. We have used our Sainsbury's Sports for Schools vouchers in order to replace some of our old sports equipment. We are continuing to collect Sainsbury's vouchers.